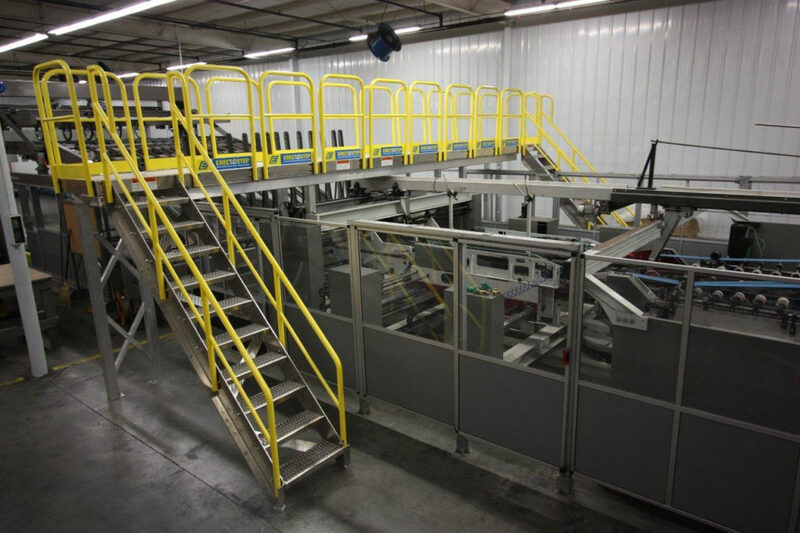 This installation of Erectastep 10-step industrial metal stairs with raised walkway service platform to provide OSHA compliant access to both sides of manufacturing. equipment. Good product that was delivered on time. Good product that was delivered on time. The platform is light weight, easy to assemble and disassemble, and never needs painting.